Sanding can be a slow, messy and tedious process. But, it doesn’t have to be. 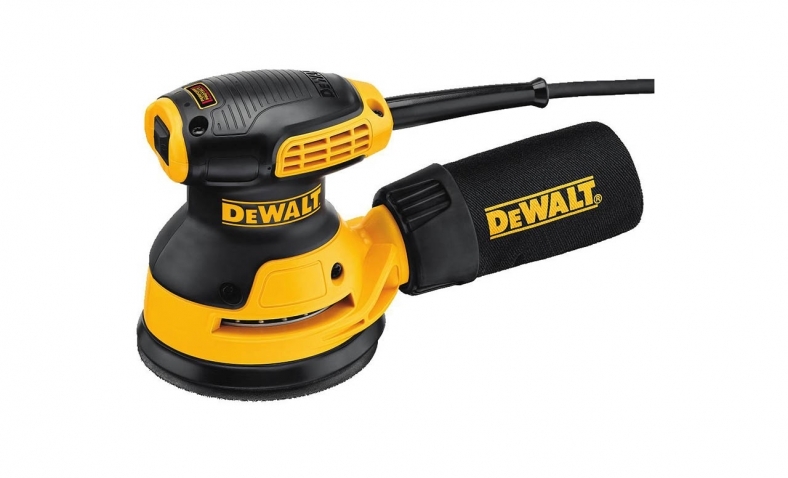 The Dewalt DWE6421 is a 5” random orbit sander. It has a single speed 3 amp motor that spins the pad at 12,000 OPM. A counterweight design reduces vibration for improved comfort for long sanding sessions. The body of the sander has a molded grip on top. A dust proof switch is located at the front of the unit and a dust port that will fit the included dust bag or a DWV9000 universal quick connector for 1 1/4” vacuum systems. The sander has a hook and loop style pad on the bottom. I first tested the sander on an old piece of plywood I had around. The first thing I noticed when I turned the unit on is that it was wasn’t as loud as I was expecting. Moving the sander back and forth across the surface was very effortless and it didn’t bog down with a little pressure. In just a few minutes I had a square foot of the plywood pretty smooth. The dust collection worked decently but there was still a bit of dust left on the piece. I have to think the vacuum adapter would have done a better job. The next test was on an old lawn trailer I have in the shed. The paint has been flaking off for a while so I decided to give it a go with this sander. I switched the pad to a 220 grit automotive pad, sprayed the trailer with water and went to work. It was able to remove the paint but it took a bit longer than a pneumatic sander would. 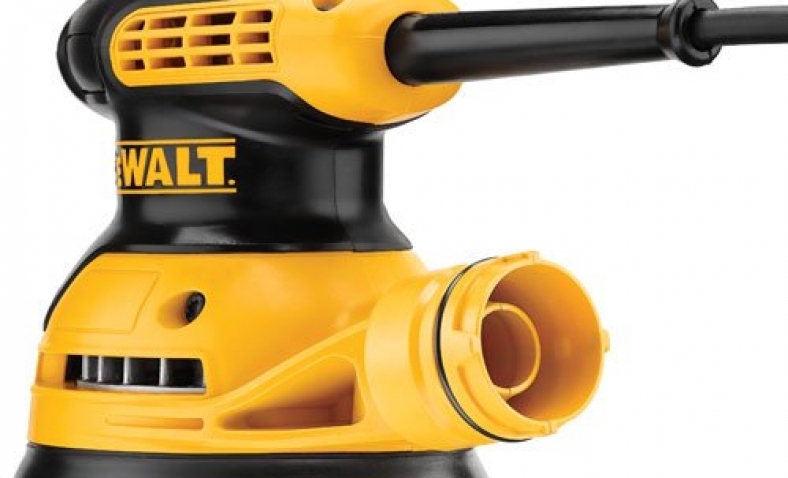 Overall, I think the Dewalt DWE6421 is a good little sander. It would be perfect for a DIYer or a professional that only needs to sand occasionally. For larger or detail jobs, a multi-speed sander would be a better fit. The DeWalt DWE6421 is perfect for any DIYer or a professional that only needs to sand occasionally.